a. Product/product group: this will indicate the importance of each product and item in the product range and their effect on overall company performance. Trend data will indicate which products are growing and which declining. b. Markets: this is particularly important in industrial organizations where analysis of sales data by industrial application of the customer, perhaps using standard industrial classification (SIC), will indicate the relative importance of and trends in the company's major markets. c. Outlets: analysis of sales by different types of outlet will indicate their relative importance, trends and the mix, for demand analysis. The growth of direct selling through mail order and other direct methods, and the changing role of the garage forecourt as an outlet for products from food and drink to audio and video products, indicate a possible need for reorganization of the marketing effort to take account of different outlets for the company's products. Statistics on the regional distribution of outlets may have implications for other marketing activity such as sales and advertising, or for reorganizing the regional outlet pattern. d. Geographical area: there are several ways in which sales may be analysed with respect to geographical area. The area may be a country for multinational firms, or a sales area or representative territory when selling is an important element of the marketing effort. Television regions are used for analysis of consumer markets in which television advertising is used. Another advantage of using television regions is that much published data, including that on media audiences and readership, is available based on these areas. Using area analysis, performance can be measured and compared, and decreases and increases spotted and dealt with. 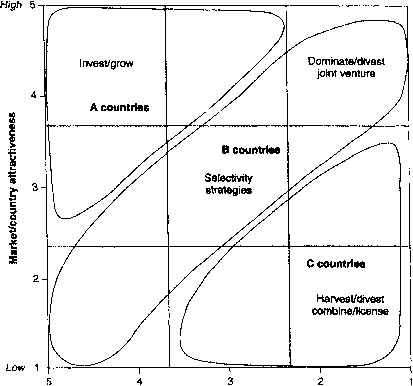 Implications for regional allocation of marketing effort can be drawn from this analysis. e. Time period: analysis of sales by time will enable seasonal demand to be plotted and therefore anticipated. Year-on-year or period-on-period performance comparisons can be made. f. Size of orders: calculation of average orders by size may have a direct bearing on profit per order handled. This could form the basis of calculation of standard delivery charges or standard levels of costs to be applied to small orders. Incentives for order size to be increased may result from this type of analysis. These examples give some indication of the value in simply analysing sales records in a variety of ways, each of which might have different decision-making implications. But sales statistics are only half the story when the company's real concern is about profit, and so a second set of data records is needed to complete the picture. Want to start a network marketing business? 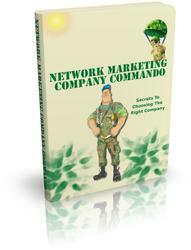 Discover The Secrets To Choosing The Right Network Marketing Company. Learn To Choose The Right Path From The Start.